What a winter! The Oxbow Bypass successfully carried floodwater! This January storm put the Oxbow Bypass to work! The flood gates on McKinstry were closed several times this winter so that flood water could flow through the Oxbow Commons. 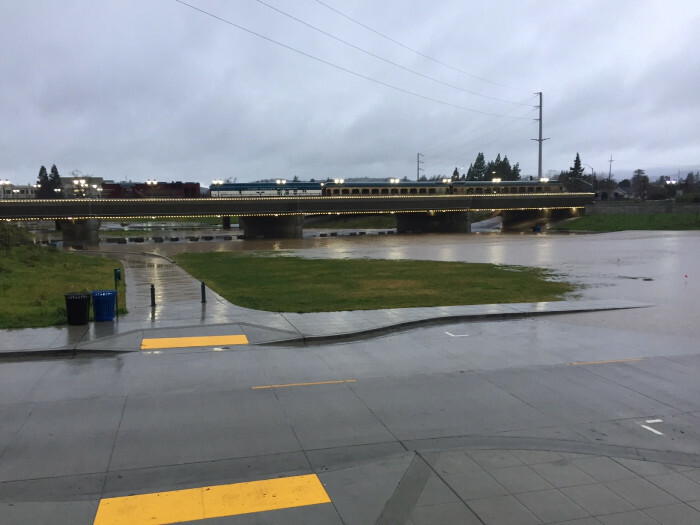 The Oxbow Bypass (or Oxbow Commons Park) was designed to alleviate flooding in downtown Napa by carrying excess water when the Napa River reaches flood stage, as it did during this storm. 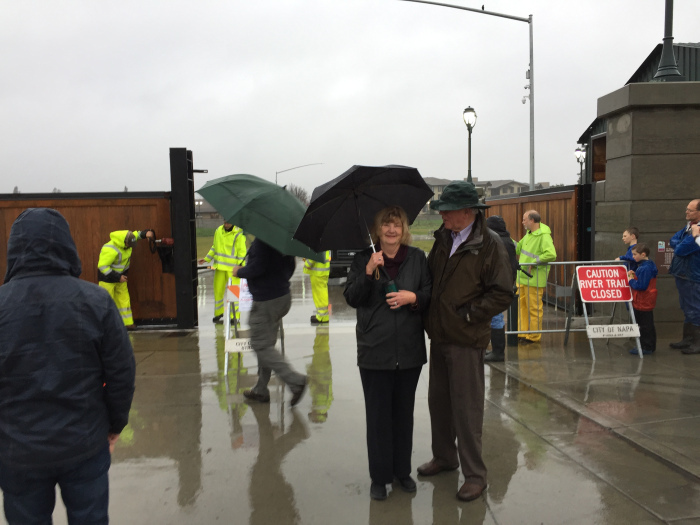 The Living River Flood Project provides more room for flood water during storm events like this, while simultaneously restoring habitat and ecological functions to the Napa River. The project is not complete yet, and this storm and the next one may illuminate the portions that still need to be addressed. More rain is on the way, and with the ground so wonderfully saturated, the river may rise more quickly. The Napa Register wrote a good story about the first wetting of the Bypass, which you can read here. Visit the Napa County Flood Control page for an interesting aerial from before construction of the Bypass and an overlay of the construction plans. For yet more information, a 2014 report by Jeremy Sarrow at the Napa County Flood Control and Water Conservation District has wonderful graphics and provides an excellent background and overview about the Living River Flood Project. Click here for the link. Older PostThe Oxbow Bypass is working!